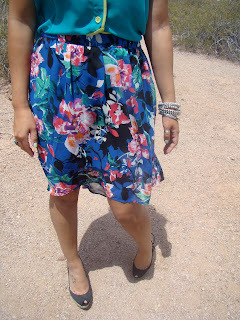 beans4fashion: High - Low @ Papago Park! 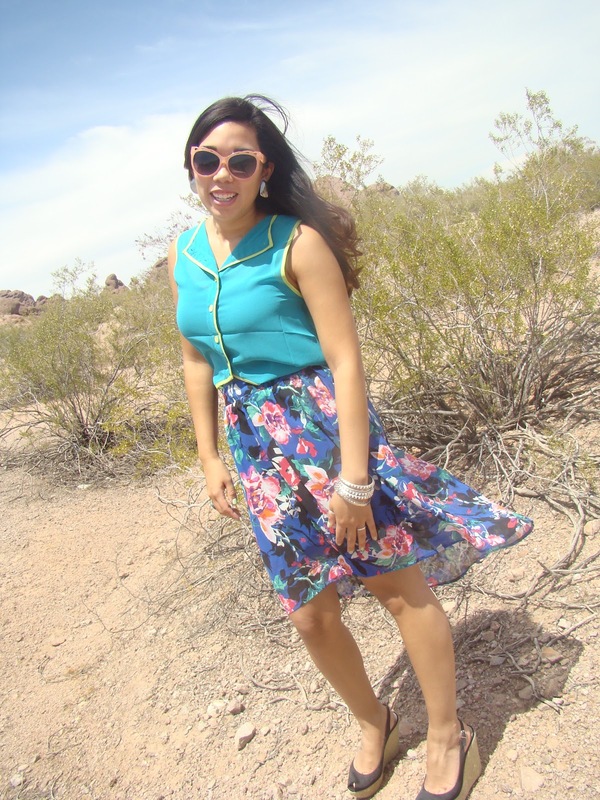 High - Low @ Papago Park! A colorful post featuring my new favorite high low skirt! I recently went to the hair salon and dyed my hair lighter on the bottom & darker on top (ombre) and I'm lovin' it! 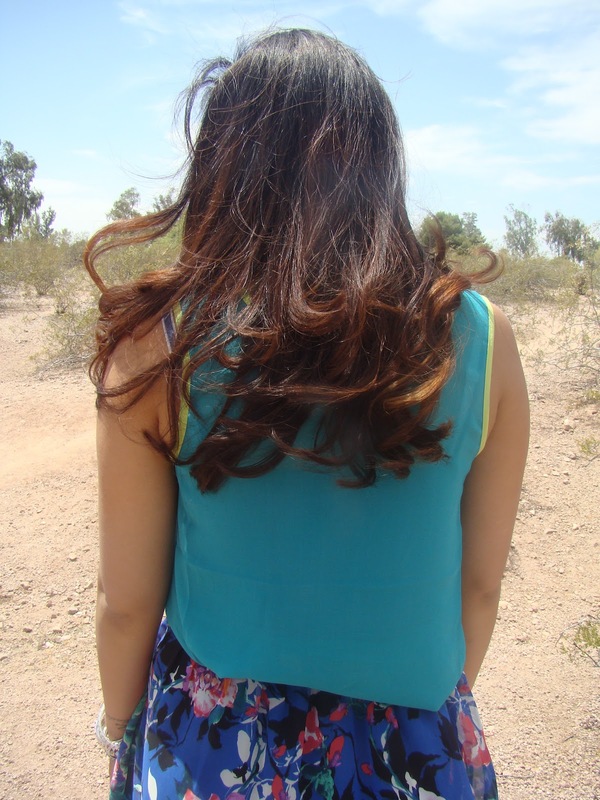 A little change thats not too drastic! The buttons should be to the back of the tank-- I like it on backwards! oh awesome you live in Arizona too! Your skirt is gorgeous! I love the floral print & the bright colors, so cute. Thanks ! I stopped by your blog and Im now following!!! THere are far and few az bloggers out here! !